Silva Screen has confirmed that the Doctor Who Series 9 soundtrack will be released on Friday 27th April 2018. As previously announced, three discs of the four-disc set will feature cues from Peter Capaldi‘s second series as the Twelfth Doctor, with one of these devoted to the complete score from the single-hander Heaven Sent. The final disc will contain music from the 2015 Christmas special The Husbands of River Song. A full tracklisting for all four discs is now available via Silva Screen. The limited edition CD Collector’s pack is now available to pre-order from Silva Screen. As well as the four discs of music and 20-page information booklet available with the standard edition, the limited edition set will also include an additional booklet featuring designer Stuart Manning‘s retro images for the series and a slipcase. 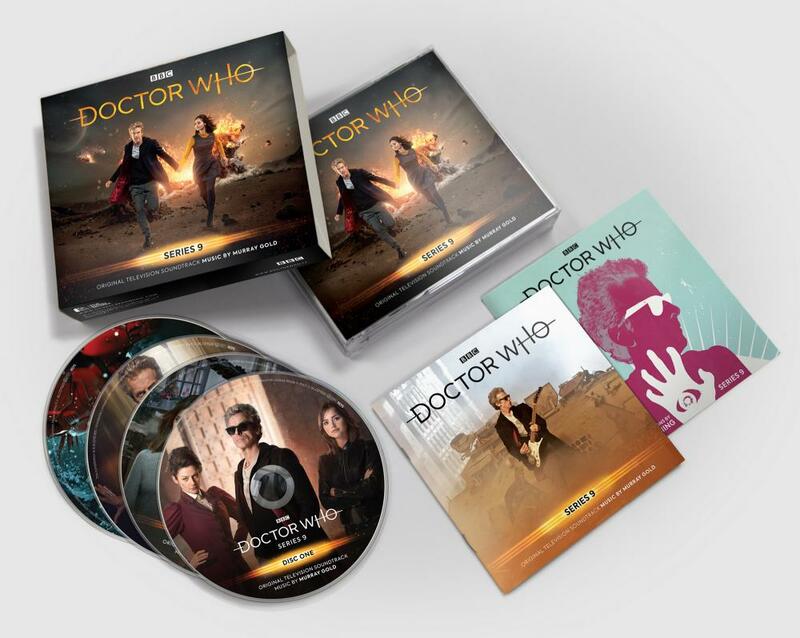 The new soundtrack set marks the twelfth Silva Screen release of Murray Gold‘s music since Doctor Who‘s return in 2005, and will feature over two and a half hours of the composer’s score for Series 9. The five-time BAFTA nominee recently revealed that after twelve years as Doctor Who‘s sole composer he is stepping down from the role; a new composer for the show’s upcoming eleventh series has not yet been announced. Silva Screen has not yet released pre-order information or pricing details for the standard edition of the Doctor Who Series 9 soundtrack in either physical or digital form, but these are expected to be available through the usual platforms in due course.